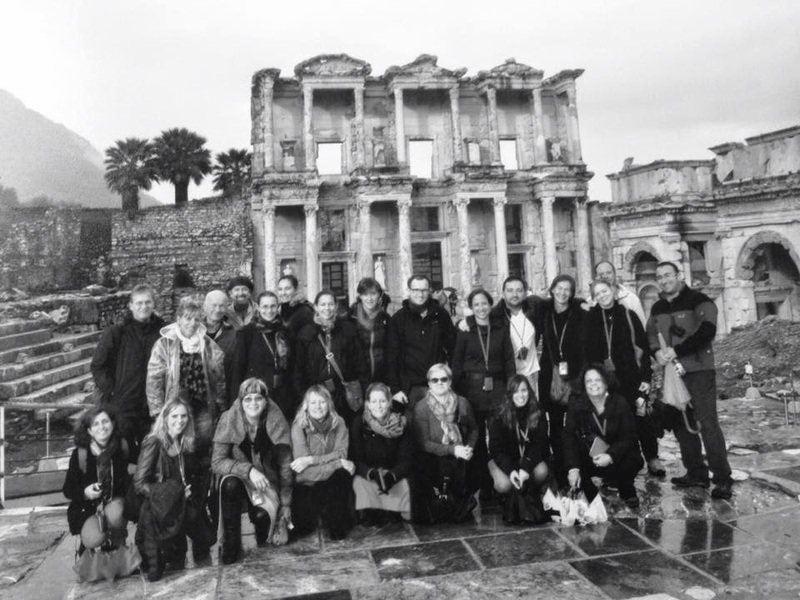 Official plan of the day: Today we’ll tour the ancient city of Ephesus. Famous for its spectacular Temple of Artemis — one of the Seven Wonders of the Ancient World — it was one of the wealthiest cities in Ancient Greece. It also played a role in the formation of the early Christian Church, drawing the attention of the Apostle Paul, and possibly even the Virgin Mary. 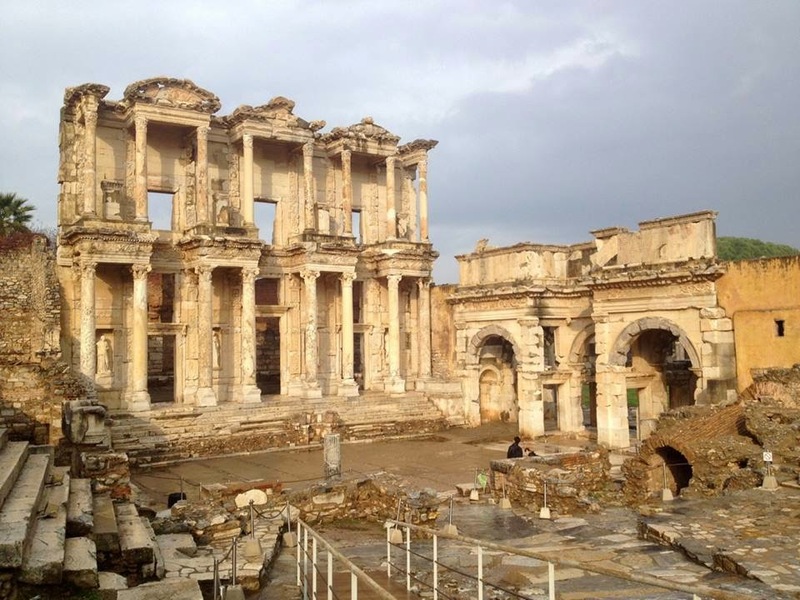 We’ll take an extensive walking tour along the still-paved streets and remarkable ruins of Ephesus, including the dramatically-restored façade of its Library of Celsus. This afternoon you’ll have free time to visit Mary’s House (where the Virgin Mary may have lived), view more ancient artifacts at the excellent Ephesus Museum in nearby Selçuk, or relax back in Kuşadası. Tonight we’ll meet for a final dinner together to share travel memories and toast new friends. Serefe! Bus: 2 hrs. Walking: strenuous. Aphrodisias, Stadium. One of the finest stadiums left from the Ancient World. Photo by Jamie Blair Gould. Ephesus, Library of Celcus. Photo by Mark Seymour. 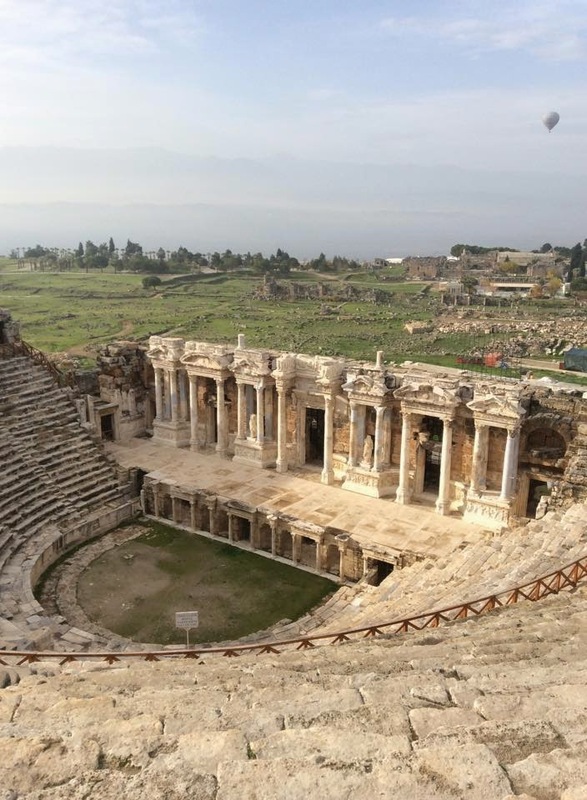 Ephesus theatre. Photo by Mark Seymour. 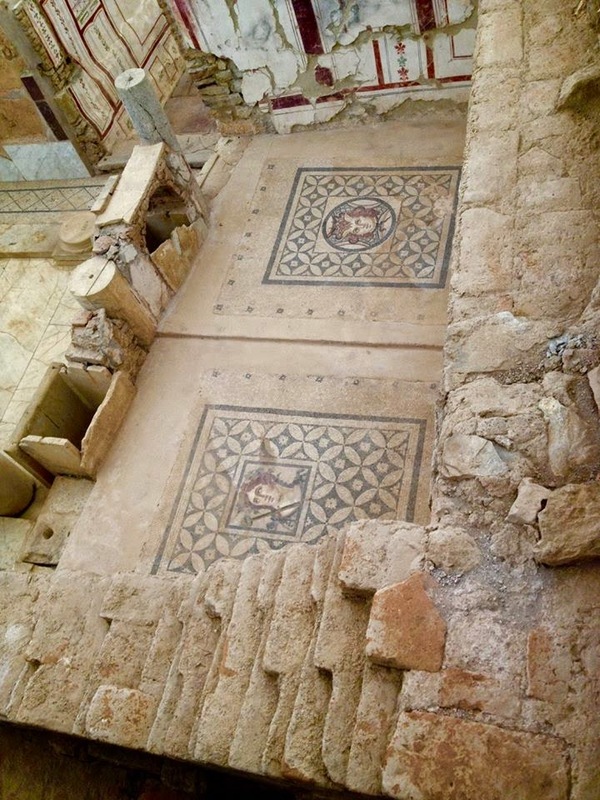 Mosaics of Terrace House, Ephesus. Photo by Mark Seymour.